Bob & Rudy’s Christmas Garage. | Do. Be. Interesting. Home People Bob & Rudy’s Christmas Garage. Mom jumped on her bike and headed out into the night with dad and I trailing behind. She was on a mission to visit the neighbors down the street who apparently had some lights. With that description, I certainly wasn’t prepared for what I saw when we arrived. And neither was my mom. She took a spill off her bike, picked herself up, brushed off and headed into the garage. The most amazing garage you’ve ever seen. Bob shakes our hands and invites us in to see the display. 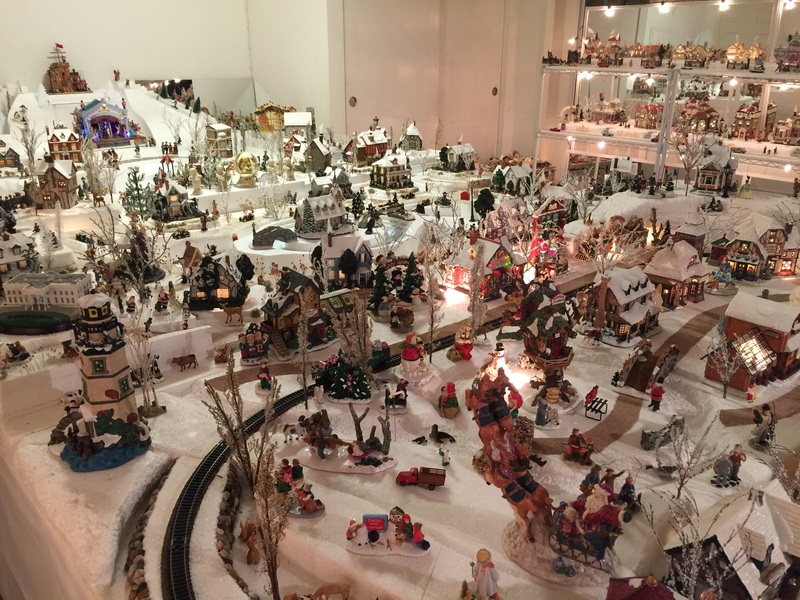 The place is absolutely chock full of miniature Christmas collectibles, all lit up, animated, singing, chattering–a scene of delightful Christmas chaos! Bob tells us that it’s his wife Rudy’s collection, and he just helps out with the displays. 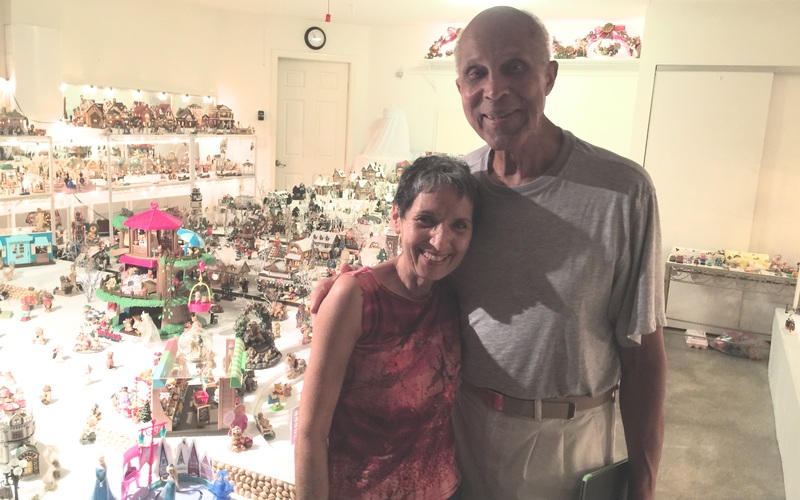 Rudy has collected countless miniature homes, people, cars, animals, and you-name-it, over the years, and this isn’t even all of it. She joins us a few minutes later and positively lights up as she shows my mom how she meticulously hand-painted so many of the pieces, collects shrubbery and paints them for display, cuts tiles to make tiny stairways, cuts out tiny birds to place on a wire along the train tracks, and how her sister lined a walkway with tiny stones using tweezers. So many details. Such a labor of love. Rudy tells my mom how she hand-painted her Thomas Kinkaid rooftops white and how someone then commented that she had destroyed their value. “They’re only valuable if I enjoy them”, she says. Bob, a former Marine, shares some wisdom with my dad. “Sometimes when you reach for too much, it ends up in disaster”, he says. Such fun and interesting neighbors! Thanks, Bob and Rudy, for sharing your Christmas cheer with the neighborhood!